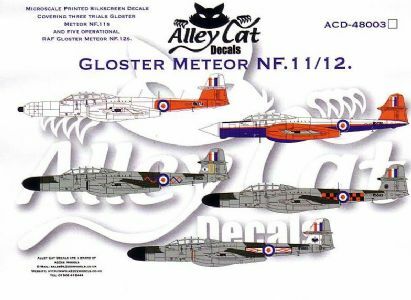 Note these decals and converion sets are designed to be used on the Classic Airframes NF11/13 kit, which is also available form A2Zee Models. This is just the decal sheet, please see the 1/48 resin section for the Nose and Tail conversion sets. There are sufficent decals to do at least 2 aircraft and if the kit roundels are used more are possible.